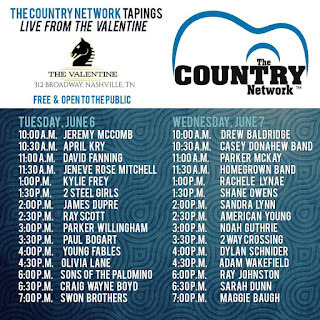 The Country Network to Film Free Live Performances at The Valentine During the CMA Fest Week! 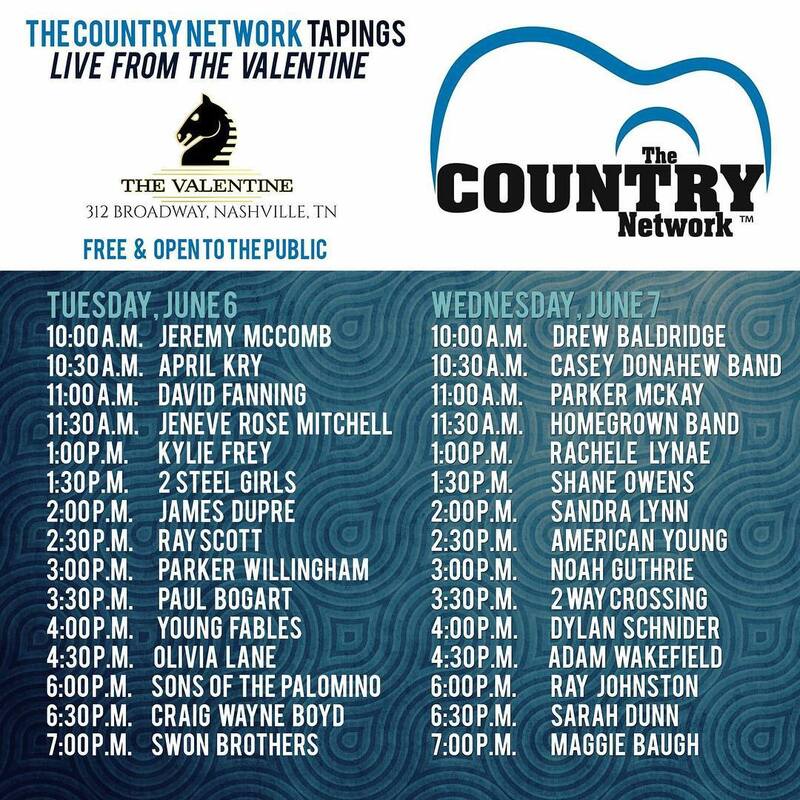 The Country Network will be taping live performance at the Valentine, located at 112 Broadway, on Tuesday, June 6th and Wednesday June 7th from 10 am - 8 pm! The network is set to film over 20 performances, which are free and open to the public, over the two days. Click the picture above for the full lineup!